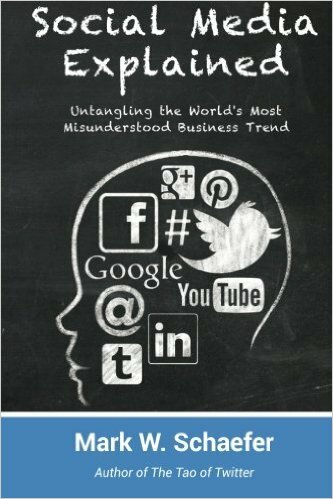 I recommend this book, especially for managers and business people who are just getting their head in the game of social media marketing. You know social media is important for your business, you may have a company Twitter account, business website and Facebook page, but you don’t have a plan or much of a clue as to what to do next. And, yes, you accept the fact that you MUST figure this out before it’s too late. There are several key lessons to take away from this book, but the most important one is this: YOUR SOCIAL MEDIA PLAN MUST (1) CREATE TARGETED CONNECTIONS WITH REAL PEOPLE (2) BY PROVIDING MEANINGFUL CONTENT (3) THAT IS AUTHENTICALLY HELPFUL. Repeat these words in all caps a few times to let this sink in. Yes, it’s pretty obvious, but in some ways, it isn’t. Just think about how much time you spend on Youtube, for example, watching videos about [blank]. You fill in the blank, obviously, but the point is, you go there because someone has created content that is actually helpful and meaningful to you and someone is connecting with you because you’re interested in that stuff you’re watching. Wow! Now you’ve just got to figure out how to come up with a plan to do the same thing for the social media marketing for your company, ideas, or whatnot. Easier said than done, but this book will help you start asking the right questions, which is why this is worth buying and reading, and maybe keeping in your desk for reference later. So that is the main valuable point of the book. Here are some more lessons to learn by chapter. Your brand has to be a buddy to your customer, who connects with brands out of love. Find a way to spend time in the customer’s comfort zone. PROVIDE CONSISTENT, MEANINGFUL PROVOCATIONS TO REMIND CUSTOMERS THAT YOU ARE THERE, YOU LOVE THEM, AND YOU WANT TO HELP THEM. Social Media Explained will help you ask the right questions to figure out this issue as uniquely applied to your business. This is the most important chapter of the book. The lesson: (1) Create targeted connections, (2) by creating meaningful content, (3) that is authentically helpful and (4) which has business benefits. In the first part, you must attract people interested in what you do and what you have to say, and build a relevant network. And by creating meaningful content, you are HELPING NOT SELLING. In other words, BE PREPARTED TO GIVE AWAY YOUR CONTENT. Crazy idea but the author makes several great points. You’re giving away your treasured information, not hording it to sell it, and by doing that, you get traffic which translates into more business. Accept the fact that social media is taking over everything. Every industry is changing. Get a grip on this fact, accept it, and don’t be left behind, like Rand McNally. (Who? Exactly!) So you’re going to need an AGGRESSIVE CONTENT PLAN. Start brain storming every potential question customers would have, and create content that answers questions. Ask what content builds loyalty, answers questions, and teaches others how to utilize things and information. And learn to connect customers to useful content at each stage in the purchasing process. This chapter also gives some great examples as to how to put things into practice. The VERY important thing to remember is that you’ve got to create a SOURCE OF ORIGINAL RICH CONTENT, and chose way(s) to deliver it, whether through a blog, podcast, or video, and then be able to share that content at places like Facebook, Twitter, LinkedIn and the like. And you’ve got to connect with the people that are enthusiastic about your content. Chapter 6: What is the Value of Social Media and How Do We Measure It? Chapter 7: We’re in a Niche Market. Do We Really Need to Use Social Media? Hint: the answer is ‘yep’. Chapter 8: How Much Do we Spend on Social Media Marketing? Chapter 9: What do We do About these Negative Comments? Yawn. Paraphrase: Keep on trucking! Chapter 10: We have Limited Resources. Where do we start? This case study puts together a decent example of how social media can be utilized and applied, and it helps you ask some great questions, but I must admit this example was not as specific as it should have been. Although it apparently relates to a social media plan that was actually applied, it doesn’t identify the exemplar company or explain what exactly its business was. And as a result we’re left with mystifying passages like this: “I then examined the LinkedIn Groups that these people belonged to and correlated the groups between customers to find the groups most likely to have the largest base of potential customers attached.” Huh? After some full lotus meditation and internet overuse, the meaning of this sentence starts to seep through the digital ether, but this example still should have been much more clear. In sum, buy this book, read it, take notes and then find some more books on social media to read, because this one will not tell you everything you need to know. It WILL tell you some things you MUST know, though. VIDEO – Revealed! 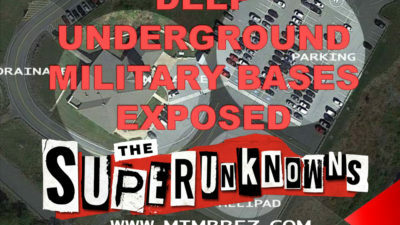 Location of Deep Underground Military Bases in The Superunknowns!